CANBERRA, Australia — Australia's treasurer on Tuesday promised a budget for the next fiscal year that would be fair and rein in mounting debt. Treasurer Scott Morrison will outline his second budget and his conservative government's first since narrowly winning a second three-year term at elections in July. He would not say whether he would retain last year's target of returning the budget to surplus in 2020-21. 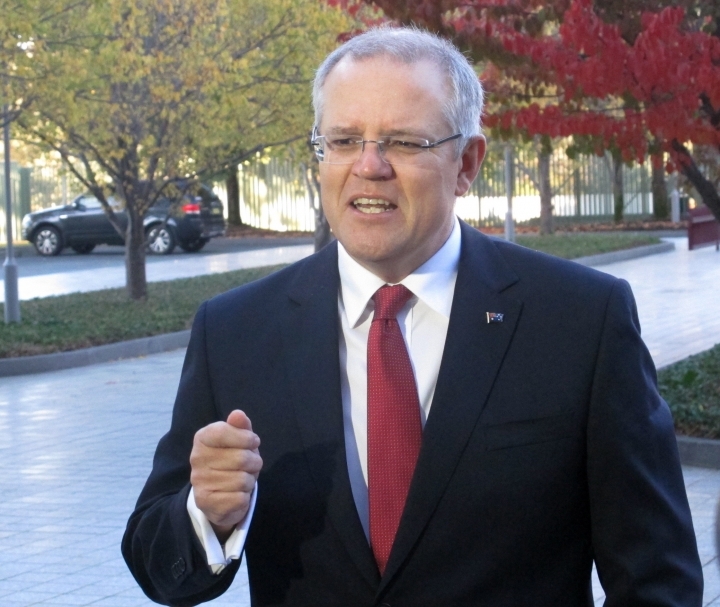 "This budget is about making the right choices to secure the better days that are ahead," Morrison told reporters when he arrived at Parliament House. "It's based on the principles of fairness, of security and of opportunity. The choice to ensure that we grow our economy for more and better-paid jobs," he added. The government's first budget announced in 2014 was widely regarded as unfair, with the poor carrying the brunt of saving measures. A hostile Senate blocked several key planks of that budget. Major ratings agencies have warned that Australia risks losing its coveted triple-A credit rating unless the government can reduce spending. 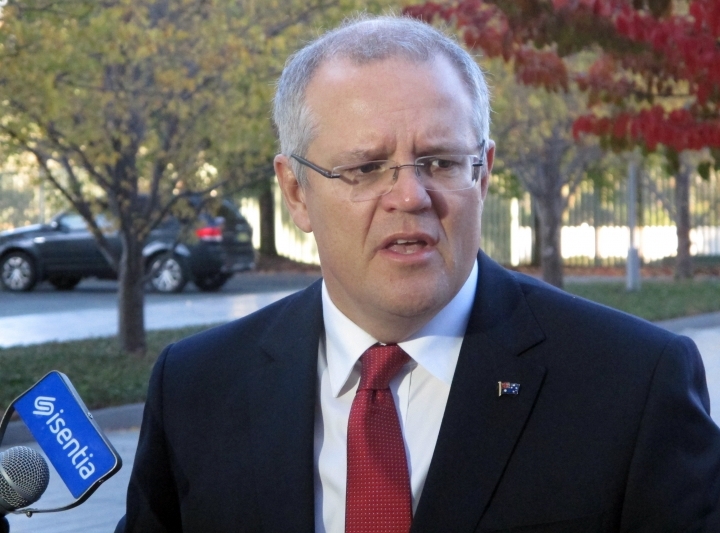 Morrison said whether Australia maintains its strong credit rating in light of the budget for the fiscal year beginning July 1 was a question for the rating agencies. "The government has put together a practical budget which deals with both the fiscal challenges ... but equally it deals with the nation's challenges," he said. The government has foreshadowed extra spending on health and education, tax breaks for first home buyers, infrastructure investment and more money for defense and national security. To pay for it, the government will crack down on multinational tax avoidance, bring in extra revenue from tobacco and cut funding to universities. Prime Minister Malcolm Turnbull on Monday echoed the theme of budget fairness. "This budget will be committed to fairness, opportunity and security, ensuring that Australians are given the opportunity to get ahead, the economic growth that enables them to get ahead, to get a better job, a better-paying job, to start a business, grow a business, to realize their dreams," Turnbull told reporters.